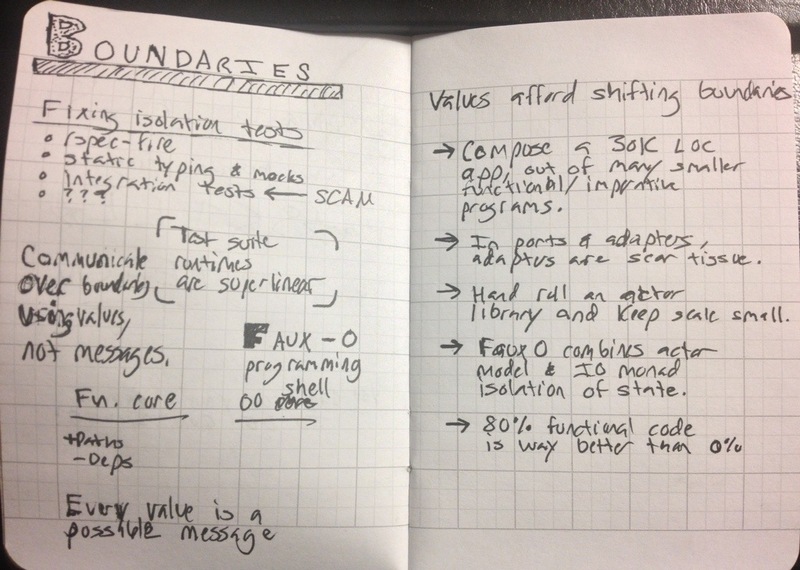 My notes, in a somewhat sketch-esque fashion, from RubyConf 2012. I hope they’re useful and/or amusing to you! The give a penny, take a penny jar is a logical conundrum. It is not, on its surface, a rational thing. I have no data, but I suspect very few people who put money into them are doing so because they plan on taking money out later. A bank is different from a give/take a penny jar. Personally, I put money in because I can and because I fancy myself not a jerk. The latter is what makes more rational sense. I put money in because it’s utility to me is marginal, but the utility of feeling better about myself is non-marginal. In My Blue Heaven, Steve Martin plays a semi-reformed mobster in the witness protection program. He starts compiling a book of his truisms for living life. One is “it’s not so much tipping I believe in as over-tipping.” His character does this partially because he’s a little flashy, and partially, I think, because he has to be a likable protagonist. I’d like to be a likable protagonist too, but I like over-tipping whenever possible for another reason. Pretty much anyone who works for tips is working really hard for every dollar they make. An extra dollar here or there is trivial to someone with a desk-job like myself, but less trivial to tip-earners who are technically paid less than minimum wage. An extra five or ten percent on a single tip won’t change their life, but it probably doesn’t hurt either. I like making people’s day better with laughs and smiles, but I’m not above buying a tiny fraction of a better day for someone else. Marginal pennies and dollars add up. 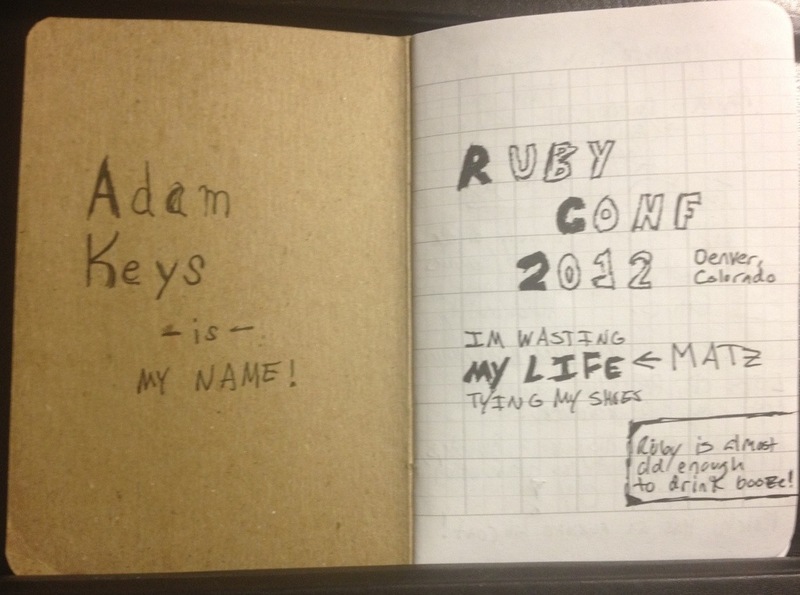 This year was my fourth RubyConf. I’ve always come away from RubyConf energized and inspired. But, I’ve yet to follow through on that in a way I found satisfying. I have a feeling I’m not alone in that camp. This was the first year I’ve given a presentation at RubyConf. At first, I had intended to use this watershed-for-me opportunity to ask whether Ruby was still fun. There’s been a number of “drama moments” since my first RubyConf; I thought it might be worth getting back to my early days of coding with Ruby, when I was exploring and having a great time turning my brain inside out. As I started researching, it turned out that there are a lot of people having fun with Ruby. Some are doing things like writing games, making music or just tinkering with languages. Others are doing things that only some of us consider fun. Things like hacking on serious virtual machines, garbage collection, and asynchronous IO frameworks. So, back to my talk. 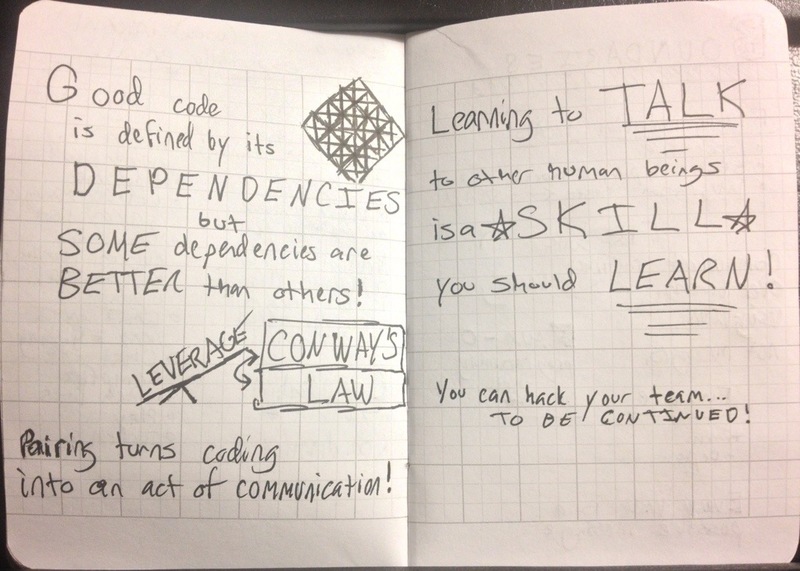 I saw my failure to harness the motivation what I’d seen at previous years at RubyConf as an opportunity to figure out ways to line up some tactics to make sure that after the conference, I was able to create awesome things, contribute them back to the community, and enjoy every minute of it. 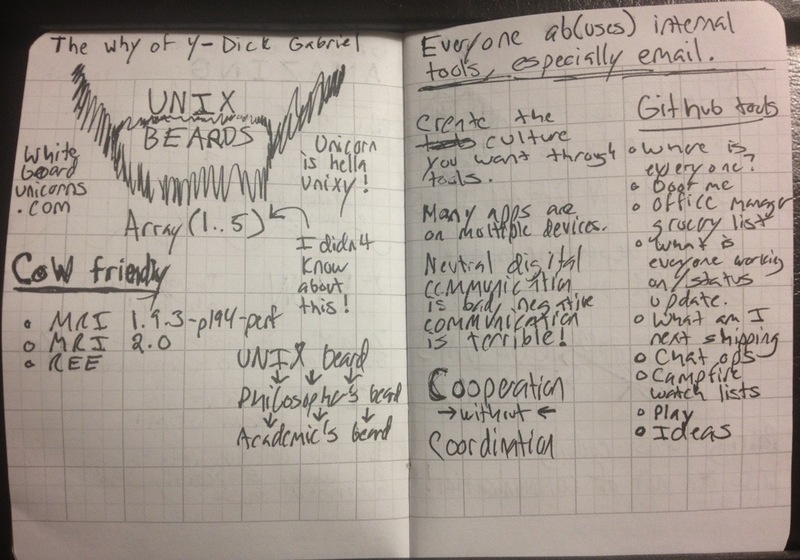 Thus, I came up with a sort of “hierarchy of open source developer needs”. At the bottom is enjoyment; there’s little sense doing open source work if you’re not having fun. Once you’re having fun, you probably want to figure out how to find more time for making codes. Once you’re making more codes, you want to figure out how to get people interested in using your stuff. I’ve taken these three needs and identified several tactics that help me when I find myself in a rut or unable to produce. Call them patterns, practices, whatever; for me, they’re just tricks I resort to when the code isn’t flowing like I want to. The talk I ended up with is equal parts highlighting people in the Ruby community that are having fun and highlight ways to enjoy making things and contributing it back to whatever community you happen to be part of. I hope that I avoided sounding too much like a productivity guru and kept it interesting for the super-technical RubyConf crowd. If all of this sounds interesting you, grab the slides (which are slightly truncated, no thanks to Keynote) or watch the recording from the conference itself. I wrote the proposal for this talk right after Why disappeared himself. His way of approaching code is what inspired me to write a talk about getting back to coding for fun. “Just for Fun” starts with a tribute to Why the Lucky Stiff. 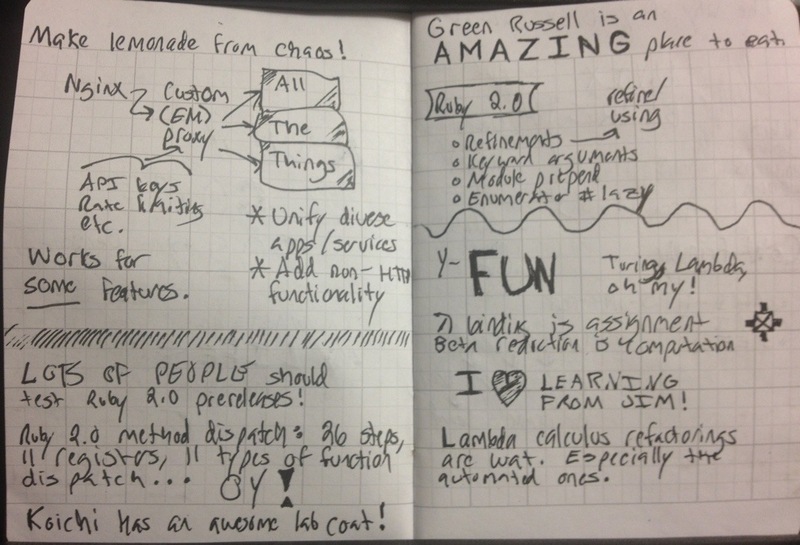 The sense of fun and playfulness that Why had is important to the Ruby community. I’ve tried to highlight some of his most interesting playful pieces. And in the end, I can’t say “thanks” enough. Why has inspired me a lot and I’m glad I got to meet him, experience him and learn through his works. Even if you don’t take a look at my presentation, I strongly urge you to give a look at some of Why’s works and let them inspire you. My favorites are Potion and Camping. RailsConf Europe is next week. I’m so there! I’m giving a talk on complexity and how I heart it. Ruby, and Rails in particular, started out with a very strong statement _against_ complexity. 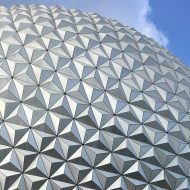 Mostly this was about the complexity that imposed by ceremonious frameworks and technologies. My stance is that all the really simple applications are done. But perhaps there are some ideas, some complexity, we can add to our problem-solving repertoire that let us tackle much larger applications. Some levers we can use to apply a little force and get a lot of result. Please to be joining me! When I go to speak about Ruby at non-Ruby groups, my go-to schtick is only mildly subversive. Sure, I tell them that Ruby is a fantastic language that will make them a better programmer. But, I don’t expect them to switch to Ruby right away. Instead, I lead them down the path of borrowing ideas from Ruby and using them in their day-to-day coding, no matter what language they use. This week at OSCON 2008, I applied the same tact, but I did it on Ruby programmers. See, there are tons of great ideas in languages like Haskell, Io and Erlang. Some translate really well to Ruby and some don’t. But they’ll all twist your brain around in interesting ways. That’s the idea. Here are the goods: just the slides, the code and the slides. Enjoy! Please to enjoy my presentation for RailsConf 2008: Oh, The Fail I’ve Known (PDF). Its on the things that aren’t normally covered in books and websites programmers read. The things that you really need to know if you’re going to achieve _truly awesome_ developer status. Obviously I think they’re really important topics. Digging into them has really helped me as a software developer. I hope its helpful to you too. Thanks to everyone who caught me afterwards or emailed to say they enjoyed the talk. And of course, if you enjoyed those videos, kudos to you as well!